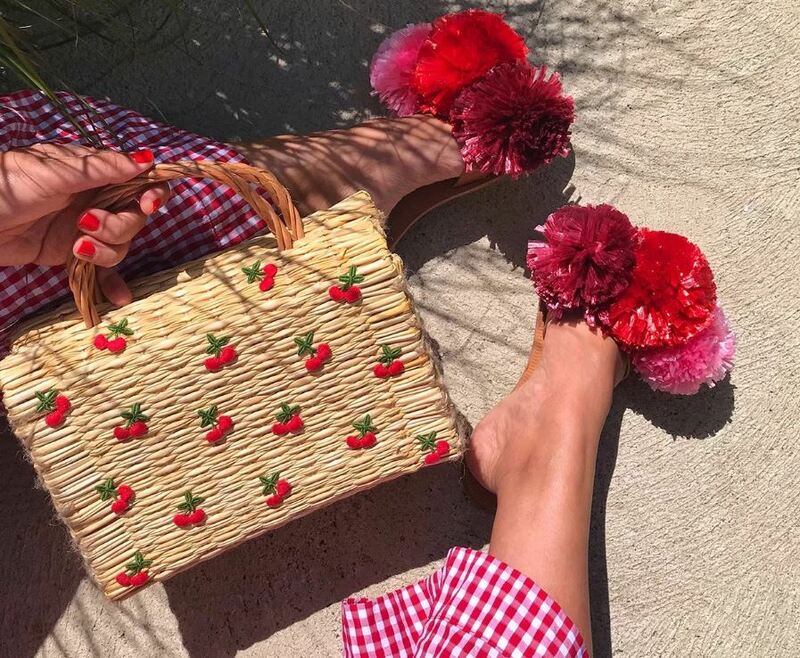 Cherries + straw = two of my favorite summer motifs. After stumbling upon a lot of adorable cherry appliqués, I knew I had to utilize them in some way or another. And with an overabundance of straw bags in my closet, I had plenty of mediums to choose from. Basically, this combination was a no brainer. I’m currently obsessing over traditional Portuguese reed bags, which are each woven on a hand loom by artisanal basket weavers and extremely, extremely durable. I love the wicker handles and the fact that there isn’t a closure to the bag – because in the summer, it’s all about easy access, right? The colorful ones are super chic but for this particular project, we’ll be adorning a plain version with some fun and cheeky fruit salad flair!